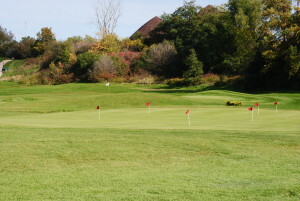 Our all-grass tee decks and full-length range provide an excellent environment to practice any kind of shot. 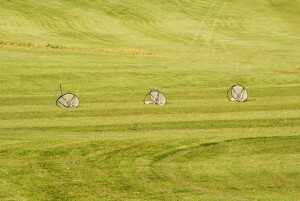 We have a variety of target greens to practice wedge play as well as additional flags for mid to long irons and woods. In addition, our large putting green is ideal for both lag putting and those crucial short putts. Chipping and pitching is also welcome on our large putting green we just ask you to please repair your pitch marks! 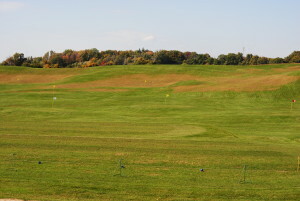 Oak Gables driving range is the best place to work on your game! All Full oak gables Members receive 50% off!